Stila seem to up their game every single season, and Spring 2019 is no exception - in fact I think it just may be their best collection yet! One particular product which caught my eye was the Stila Lingerie Souffle Skin Perfecting Primer. There are two shades available - sun-kissed and the one I have Sheer Illumination. 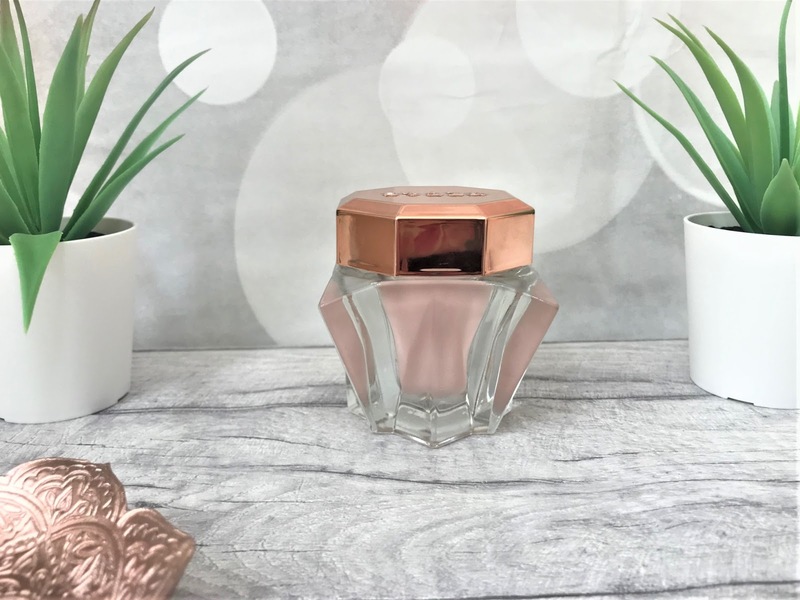 Firstly, the packaging is stunning - a weighty glass jar complete with a rose gold lid and something which will look oh-so-classic on your dressing table. 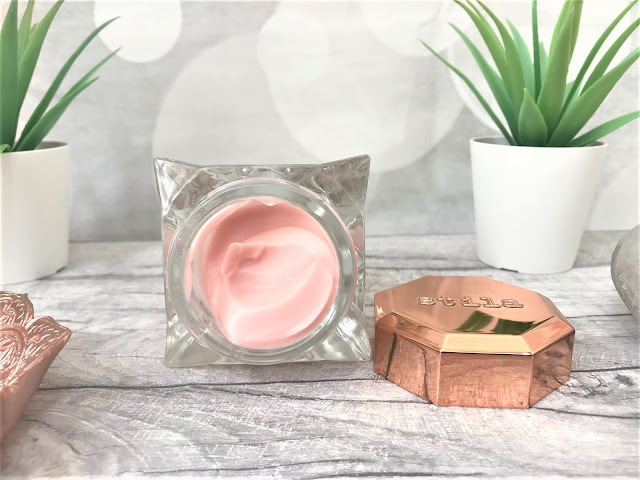 The jar holds 30ml of this luxurious multi-function primer. Formula-wise, you get a whipped gel formula which primes the skin to give it either an illuminating finish or a bronzed finish. Lingerie Souffle's formula contains light-refracting pearls to give a natural-looking glow with a blurring, skin perfecting effect. The innovative ingredients and emulsifiers give a smooth application without any stickiness. To take care of the skin, the formula also includes natural botanicals and over 70% water to keep your skin feeling refreshed throughout the day. You can use Lingerie Souffle either underneath your regular foundation to prime the skin, or over your makeup to freshen up your complexion. I personally prefer to use it underneath my foundation and it instantly absorbs into my skin, and when I apply my foundation, the primer doesn't budge either itself or the foundation. Stila's Lingerie Souffle keeps my foundation in place throughout the day as well as keeping my skin feeling refreshed. 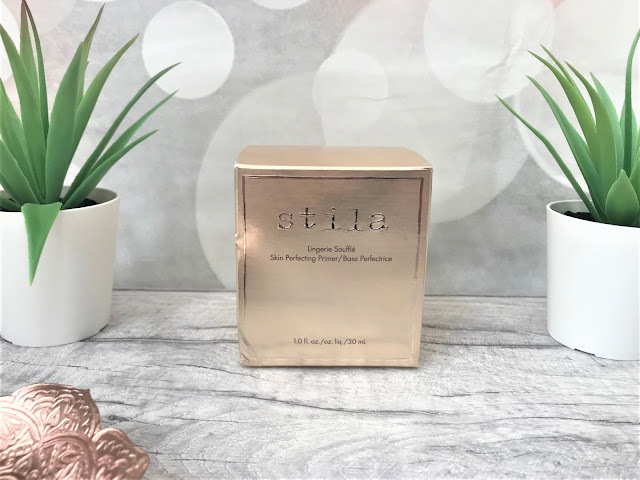 Stila have also released a Lingerie Souffle Skin Perfecting Colour foundation so I would definitely be interested in trying that out due to the results I get from the primer. Stila Lingerie Souffle Skin Perfecting Primer costs £28 for 30ml and is available online at Stila.